You’d think that if you were married to a handsome, award-winning movie star and you were going to a premier of his movie in Paris, you’d be wearing a brand new, top designer dress. At least, that’s what most people would do. I’m happy to share the awesome story of Livia Firth, who is the wife of actor Colin Firth. The scenario I just described really happened last week. 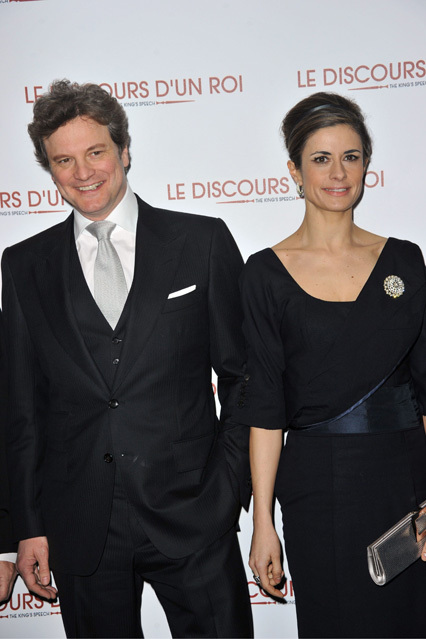 Colin and Livia did attend the premier of his movie, “The King’s Speech”, in Paris. But Livia didn’t wear a brand new, top designer dress. 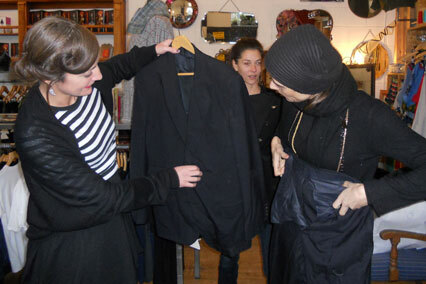 Instead, she wore an incredible black dress that had been repurposed from one of Colin’s old suits. Yes, you read that right. Thanks to the help of Junky Styling, a refashioning label based in London, Colin Firth’s moth-eaten suit was transformed into an elegant, completely eco-friendly gown for Livia. Can you believe that gown used to be an old suit? It’s a testament to the brilliant designers, Annika Sanders and Kerry Seager, over at Junky Styling. I’d never heard of their label until I stumbled onto Livia’s post about her gown (she’s a blogger over at Vogue UK), but I can’t wait to dive into their site to see what they’re doing.